12 basses with stop to remove the third. 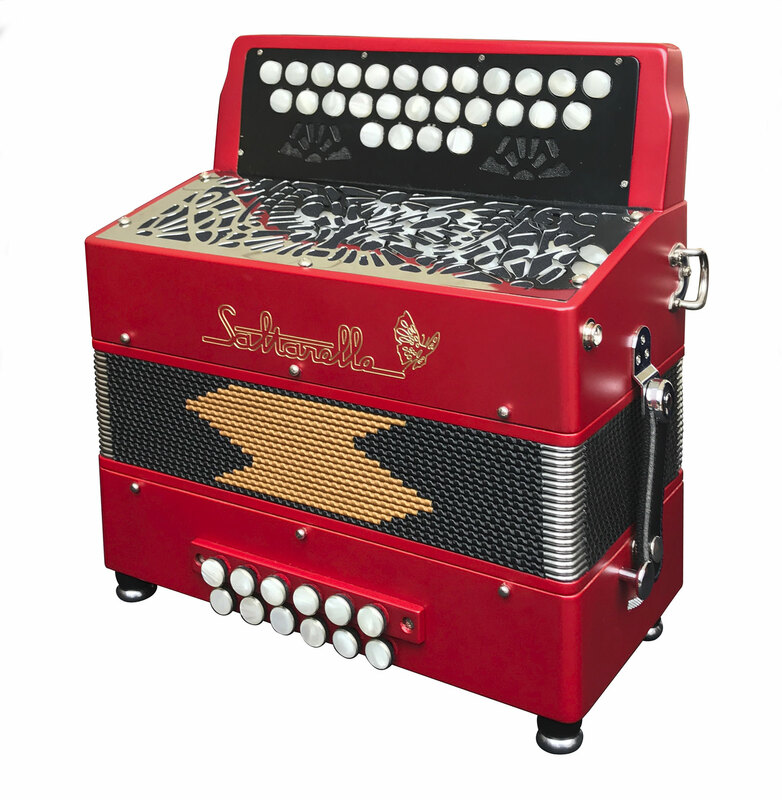 "The Connemara 2 is a special accordion with 12 basses and two and a half row right hand. The extra half row on the melody side allows the player to explore new chords especially when accompanying songs while mixing it with the extra basses on the left hand. It also allows the player to get 'smooth runs' up and down the melody side with notes either all on the press or the draw. 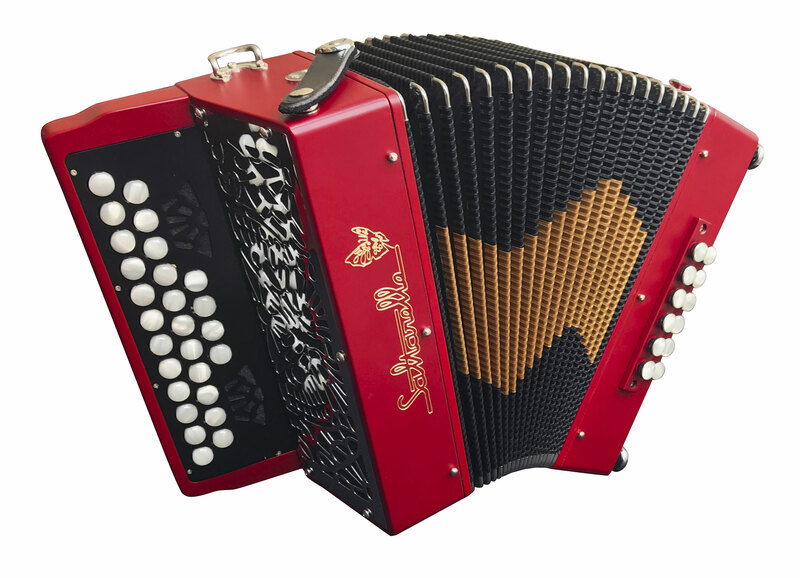 A fantastic accordion for playing with other instruments especially the fiddle as the tone of the Saltarelle accordion compliments it very well. 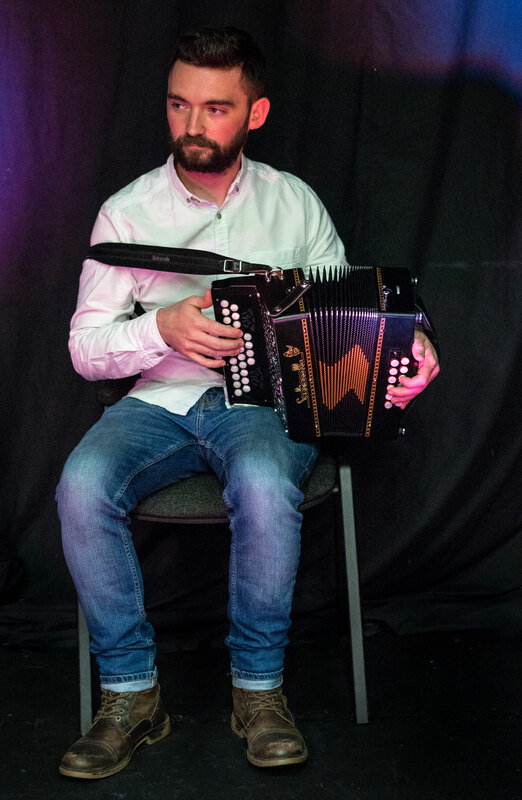 Such an enjoyable accordion to play."